U.S west coast residents have long feared “the big one,” an earthquake with a magnitude 9.0 (or higher) along the San Andreas Fault or Cascadia Subduction Zone that could cause widespread damage and devastation. But seismologists may now be one step closer to predicting the big one thanks to new research that sheds light into seismic activity preceding large earthquakes. 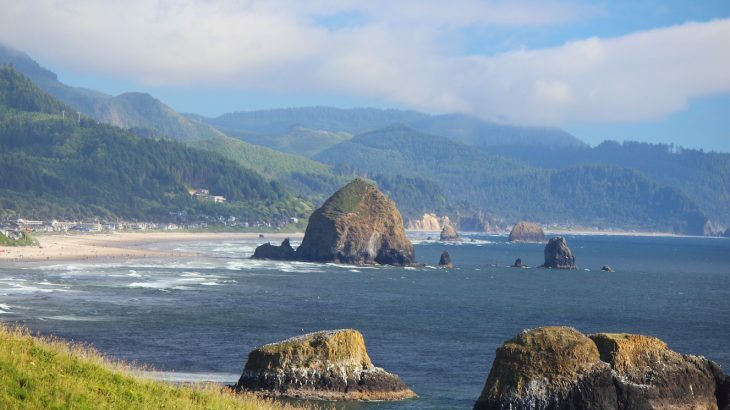 Researchers from Oregon State University conducted a study analyzing seismic activity along the Blanco Transform Fault off the coast of Oregon. It’s an incredibly active fault, and every 14 or so years, the area generates an earthquake with a magnitude of 6 or greater. The study, published in the journal Nature Geoscience, helps explain the link between aseismic slips and seismic activity. Aseismic slips, also called silent or slow slips, describe a fault slip or displacement and movement along a fault fracture zone that does not generate any notable seismic activity. Typically, as two plates slide, collide, or subduct, this generates a large amount of energy and produces earthquakes. The researchers found that slow slips can trigger seismic activity even if the actual fault movement of the silent slip itself doesn’t produce any shaking. The researchers placed 55 seismometers along the Blanco Fault at the bottom of the ocean and recorded seismic activity for one year from 2012 to 2013. Overall, the researchers collected seismic data on over 1,600 Blanco Ridge earthquakes. “It’s a very seismically active fault that generates significant earthquakes at higher rates than the majority of faults on land, making it ideal for studying the process of earthquake generation,” said Kuna. The Cascadia Subduction Zone, which researchers have predicted could produce a massive 9.0 or greater quake, sits between the Blanco Fault and Oregon coastline. The researchers also found that large earthquakes are preceded by either shallow mantle creeps or seismic swarms. Creep describes slow and steady movement along a fault line.